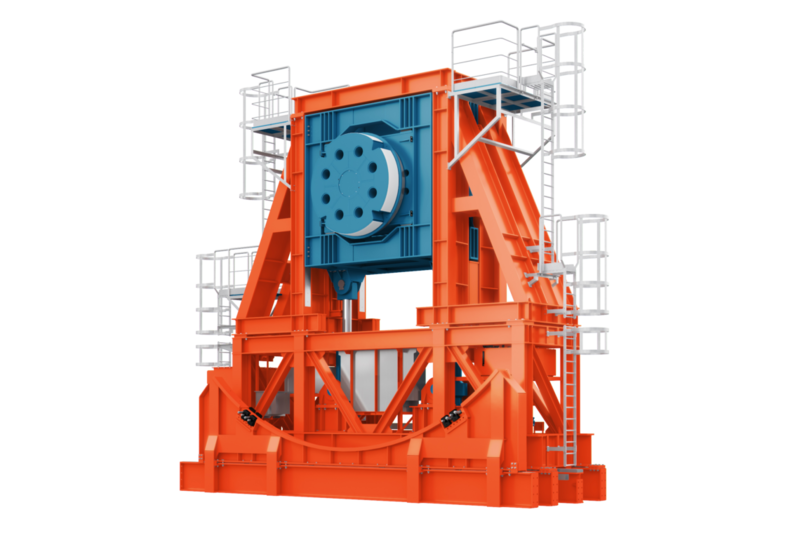 The MRDS-800-171 Series Reel Drive System is a modular reel drive for the installation or recovery of flexibles, cables, umbilicals, wire rope or steel pipe products. Integrated wireless walkabout box supplied as standard for control. 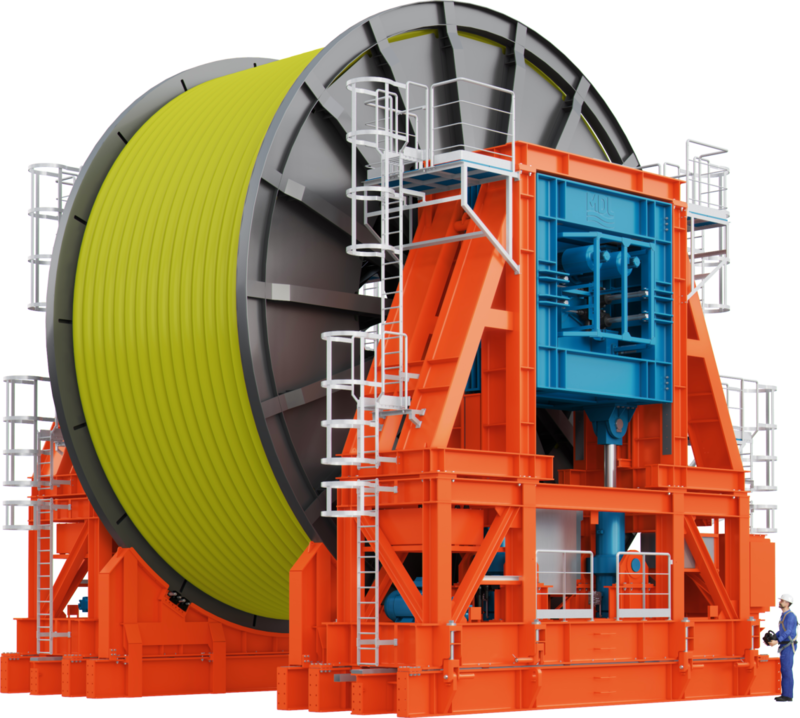 The system is suitable for reel diameters 14m (46ft) and below with combined reel + product weight of 800Te. Hubs driven by electric motor/ brake/gearbox drive assemblies with failsafe closed brakes. Track system option for 11.4m/500Te reels and under, so the towers can move between reels. The unit has reel lashing points built into each track to offset fixing to the vessel deck. The system has an additional traverse function to align the product to an external source, such as a lay tower. 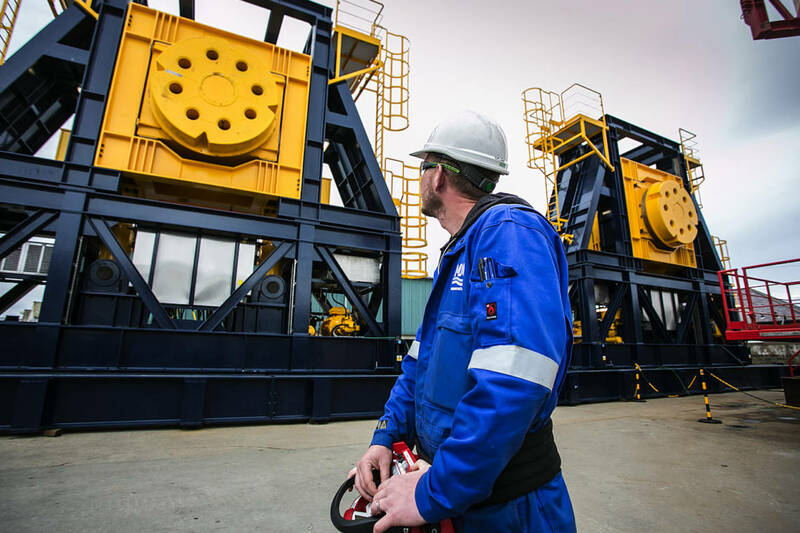 The unit is supplied with built-in electro-hydraulic powerpack. Road-transportable or can be shipped by standard methods.